We currently have three TRANSITIONS Day Treatment and Training Adult (DTA) programs. Two are located in Tempe, AZ and one is located in Glendale, AZ. At all three DTA programs, we aim to build upon the knowledge our attendees have to promote self sufficiency in a fun way. We focus on health, safety and encourage pride through responsibility and we strive to create experiences that facilitate social confidence and self esteem. We believe that building these life skills in a structured environment improves overall wellness and is important in the success of individuals moving towards supported employment. 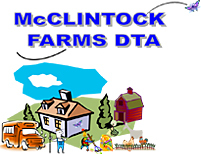 McClintock Farms was the first DTA TRANSITIONS opened in 2009 and is located in Tempe, AZ. At this location, consumers learns responsibility by taking care of chickens, goats, rabbits and other gentle farms animals. They tend an organic garden of healthy vegetables and fruits and learn about maintaining a green Earth, and all while having a great time in a fun, structured environment. McClintock Farms DTA also has a monthly Butterfly Cafe as a fundraiser for their program. One Wednesday a month, the program transforms into a cafe where the consumers learn how to greet customers, take orders, serve food and other things that go along with running a cafe. The Butterfly Cafe is run on donations from the people who attend and all of the proceeds from the Cafe help the program continue the fundraiser and attend activities as a large group. During the Cafe, the clients also sell arts & crafts that they made during the program. TRANSITIONS West was opened in 2010 and is located in downtown Glendale, AZ. At this facility, consumers do daily activities which include learning how to clean, do yard work, simple cooking and baking, arts & crafts and more. The groups also go on weekly outings to local museums, movies and more. The staff at TRANSITIONS West occasional offers respite activities after program for those who are interested in participating. TRANSITIONS West also has a Deli~cious Cafe that is held one Wednesday a month. Like McClintock Farms DTA, the consumers at TRANSITIONS West transform their program into a Cafe setting and prepare, cook and serve lunch to the attendees. They also have baked goods and crafts for sale for donations. Delta Center is our newest 5,000 square foot DTA/DTT and Vocational Center right next to the beautiful Kiwanis Park and Lake. At the Delta Center, the consumers partake in numerous activities throughout the week, including simple cooking, science experiments, arts & crafts and more. Also, at least once a week, each group will have a community outing such as: museums, shows, movies, swimming, parks and more. Delta Center is an excellent place to learn in a fun and structured environment. When clients are ready to transition, we have Group Employment right on site. TRANSITIONS Employment Network’s and Heaven Sent Housekeeping have their home base located at the Delta Center. The Center serves as a training facility for new employees of Heaven Sent Housekeeping and is where the consumers prepare for their job with Heaven Sent making sure all of their supplies are clean, filled and ready to go before they head out to a client’s house. Beautiful and graceful, varied and enchanting, small but approachable, butterflies lead you to the sunny side of life. And everyone deserves a little sunshine.